Where else will you show off your dance moves? 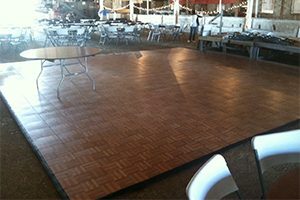 A wooden dance floor is a great for a wedding or corporate events. Ask about the different sizes available. 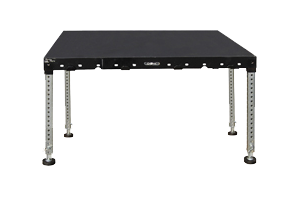 Portable Stages are used for weddings, bridal shows, sporting events, etc. Stage piece is a 4’x4’ section, and will interlock with multiples piece to make whatever size stage you would like. Also, has adjustable heights.